Just be warned, I will be making this blog post as dramatic as possible. Since when is it okay to pay agents to decide if they want to take their 15%? There's a lot of us out there - throwing your money at agents and casting directors isn't going to make you stand out, especially since this seems to be some socially acceptable thing nowadays. It certainly won't win you respect as an actor either. If you have to pay someone to take a chance on you, what kind of relationship does that breed? 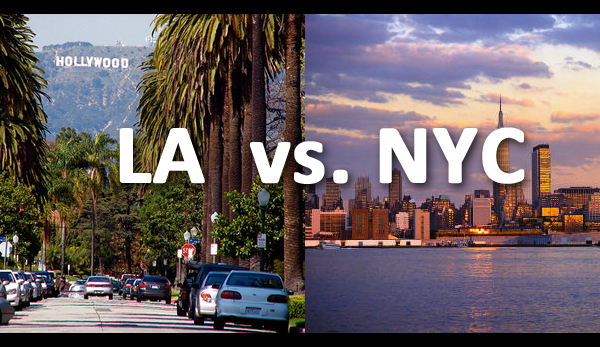 My best friend in the whole world told me once “New York will punch you in the face, but L.A. will stab you in the back.” Given the choice, I’d rather be punched in the face. It puts me in a much better position to swing back. Aside from the occasional distraction, almost always in the form of video games (#nintendo4life), I was convinced that I needed to take every step with extreme caution because once I moved to New York, which I knew I was going to do, everyone and their mom would be taking acting careers seriously.